You should always test the bottom level of the source code first, which can be done by using classic and simple unit tests with which you test the methods in java classes. To be more formal, in the Android testing process that kind of tests are called small tests. The second level is integration tests with which you test interface and interaction between two (or more) different components; that kind of tests are called medium tests. The last level is large tests and they test use cases, API calls and similar more complex features that you have in your app. So let’s start with a unit test. What do you need to execute it? Well, nothing special. That kind of test you can execute on your computer, you don’t need to execute it on an Android device or some emulator. It tests just pure java code, and that is done on a computer because it does not need to use Android SDK or any kind of Android operations. Because of that, unit tests are fast and you can use them whenever you want since it’s a fast and straightforward process. For example, integration tests use Android SDK so you don’t have a choice, you have to execute them on an Android device or emulator. That means they are a bit slower than unit tests since you have to wait for the app to build on a device (or emulator). The lowest level of tests are unit tests, they execute on a computer so you don’t need a device or emulator and they are used for testing pure java methods and source code. With this kind of tests you can be sure that your methods do exactly what they need to do. The best advantage of these tests is the fact they execute really fast because there is no need for Android OS or SDK. However, there is a problem of not being sure whether your app is doing what it should on a higher level, so you can’t have only this kind of tests and say you have tested the app. When you write unit tests you should be aware that they should be used only for pure Java source code and no Android SDK interactions should be included. Of course, we all know that it is really complicated to write source code for Android app without interaction with SDK, because of that you should use Mockito that will enable you to call methods from Android SDK but without real implementation. Otherwise, if you want and need to use an implementation of Android SDK methods, then you should use Robolectric. After you wrote small level tests, it’s time for the upper level. So, medium level tests can tell you if your app components interact with each other in the right way, or if they don’t. The answer to that question you should find out that with this level of tests. 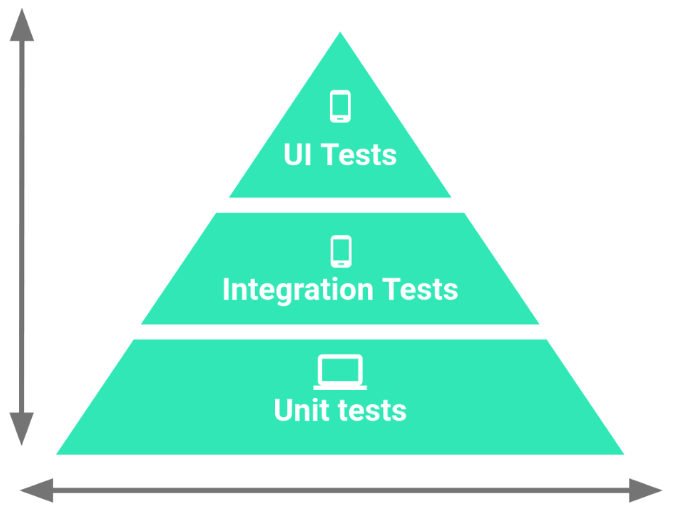 The highest level of tests on Android is large test level with which you test use cases. Large tests are slow, and they need an Android device or emulator for execution since only with them we can test the app in a way the user sees it. Here you should test UI components, and to do that, you can use Espresso library that will help you to make a whole process much easier and smoother. Most Android dev teams use only one level of tests, most time only small level. Is that wrong? Well, you know, it’s better than nothing but there is not enough to be able to say with confidence that your app has tests. That kind of tests can help, but in the name of software quality, is nothing. Our recommendation for Android testing levels use is always to use all levels in the needed percentage. That way, the quality is the first priority. A guy with huge interests in technology and sharing his knowledge with interested people. 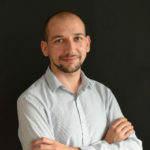 He is a co-founder of a digital agency Async Labs where he was helping companies all around the world to become present on the Internet with digital marketing strategies. Using growth hacking actions he had a couple of successfully campaigns where he achieves an impressive number of followers on different social media channels. 6 Undeniable Reasons Why you need Digital MarketingWhy are Hashtags so Important on Instagram?